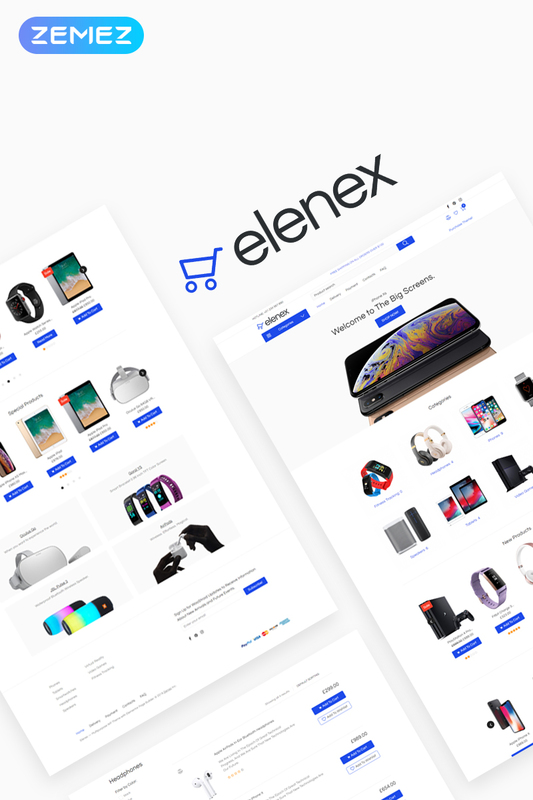 Meet a professional Elenex theme for creating a digital store. You will be able to display different gadgets, information about delivery and payment, and also contacts and FQA with this theme. It will be possible to show products by categories, such as New Products and Special Offers. You will customize your online store as you wish thanks to a strong Jet plugins bundle for Elementor page builder. WooCommerce and JetWooBuilder plugin will provide varied widgets for showcasing products and their taxonomies in the brightest manner. JetThemeCore plugin will allow creating custom headers, footers and special sections; moreover, you will select pre-made sections and insert them into pages easily and quickly. With JetSmartFilters plugin you will add AJAX filters to the pages with products. Using JetProductGallery plugin you will showcase images of the products in the form of a gallery. You will create a mega menu with drop-down sections and apply different style settings to it with JetMenu plugin. It will be possible to add comparison and wishlist functionality to your website using JetCompareWishlist plugin. 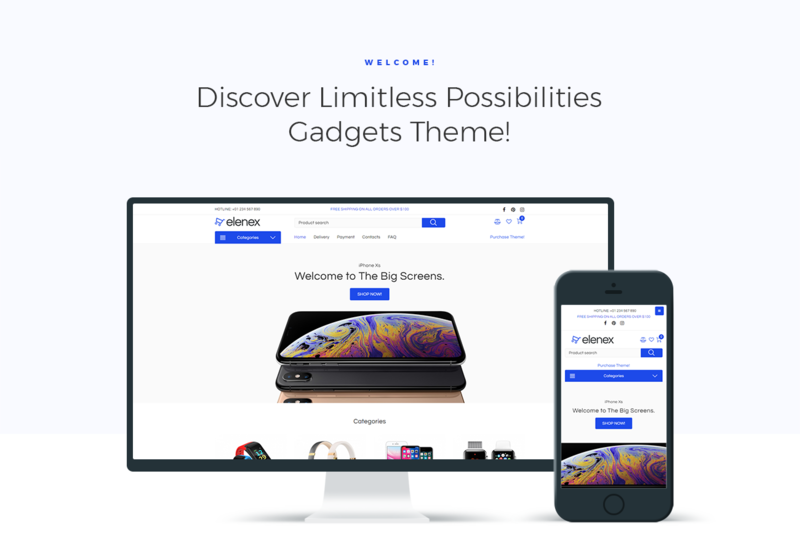 Elenex is a fully responsive theme, which will assist you in attracting new customers and expanding your client base.